Buy Felco grower secateur model no.11 (FM11): <ul><strong><li>Easy blade replacement</li><li>Highly ergonomic shape </li><li>Strong and robust with a lifetime guarantee</li></strong></ul><br>The Felco Model No 11 is the next generation of the classic original Model No 2. The same design features and build quality, but with the anvil blade fixed with screws rather than rivets for easier replacement.<br><br>Suitable for all pruning jobs, these secateurs have a long, tapered anvil blade that gives them a large cutting capacity and makes them highly manoeuvrable - perfect for cutting twiggy branches close to the trunk.<br><br>The lightweight aluminium alloy handles are ergonomically designed, with a rubber shock absorber to minimise fatigue and make them comfortable to use for long periods.<br><br>The secateurs have a toothed centre nut that makes it easy to align the cutting and anvil blades precisely for a clean, accurate cut. 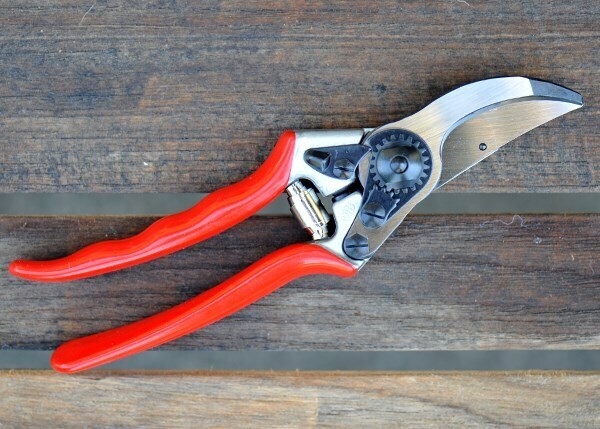 The hardened steel blades feature a wire-cutting notch to protect the cutting surface when trimming wire, and a sap groove to prevent sticking and remove debris when pruning soft stems.<br><br>All parts are replaceable, so your secateurs can always stay sharp and strong. A safety catch keeps the secateurs securely locked when not in use.<br><br> Felco secateurs are precision-made in Switzerland. Every pair is subjected to over 100 quality control processes, and comes with a lifetime guarantee against manufacturing defects.<br><br>Please note: it is an offence to sell knives and other cutting tools to persons under the age of 18 years. 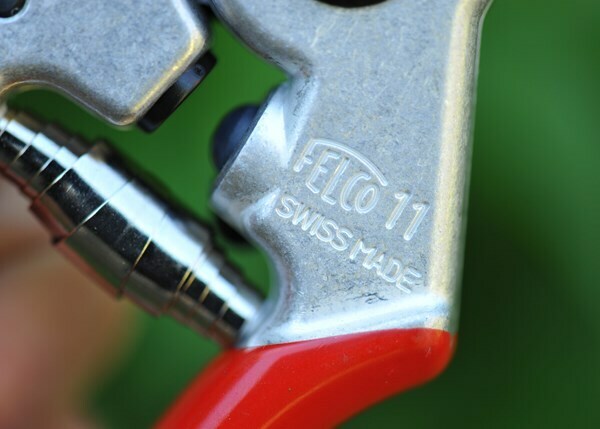 The Felco Model No 11 is the next generation of the classic original Model No 2. The same design features and build quality, but with the anvil blade fixed with screws rather than rivets for easier replacement. 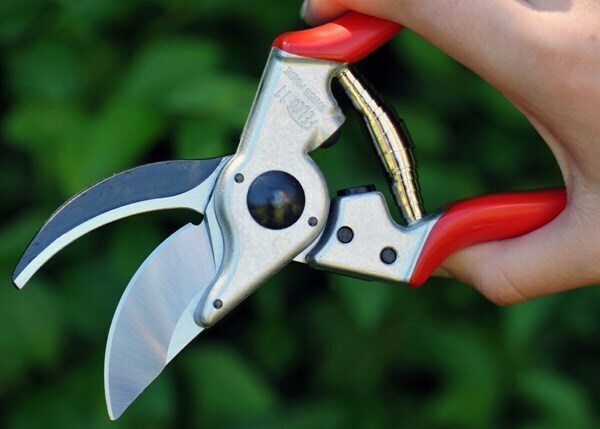 Suitable for all pruning jobs, these secateurs have a long, tapered anvil blade that gives them a large cutting capacity and makes them highly manoeuvrable - perfect for cutting twiggy branches close to the trunk. The lightweight aluminium alloy handles are ergonomically designed, with a rubber shock absorber to minimise fatigue and make them comfortable to use for long periods. The secateurs have a toothed centre nut that makes it easy to align the cutting and anvil blades precisely for a clean, accurate cut. 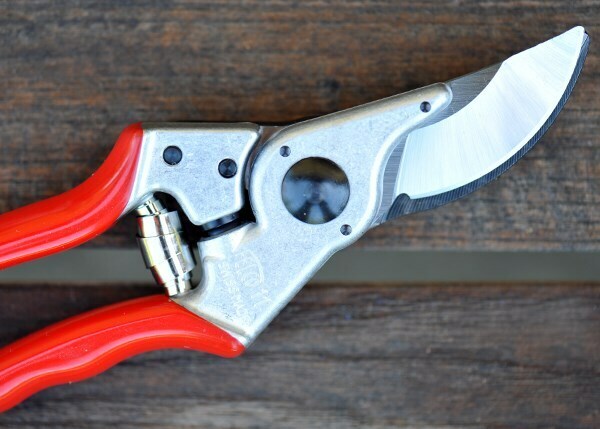 The hardened steel blades feature a wire-cutting notch to protect the cutting surface when trimming wire, and a sap groove to prevent sticking and remove debris when pruning soft stems. 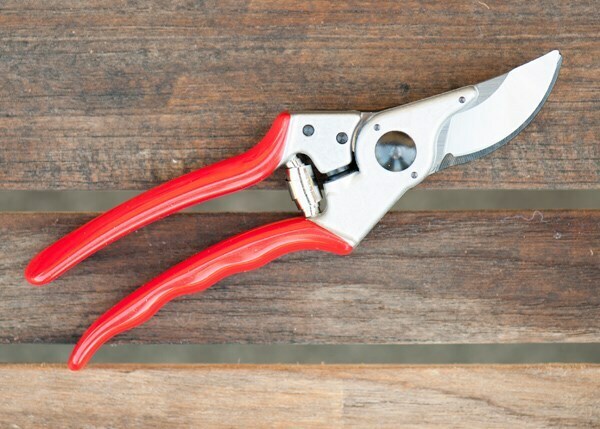 All parts are replaceable, so your secateurs can always stay sharp and strong. A safety catch keeps the secateurs securely locked when not in use. We bought this with a Crocus gift voucher we received as a Ruby Wedding present from my mum, another keen gardener. This is the first time we have owned such a posh pair of secateurs, and we are delighted with the robust quality and ease of use. I live in fear of losing them, but so far (almost two years on) they are still in our possession!